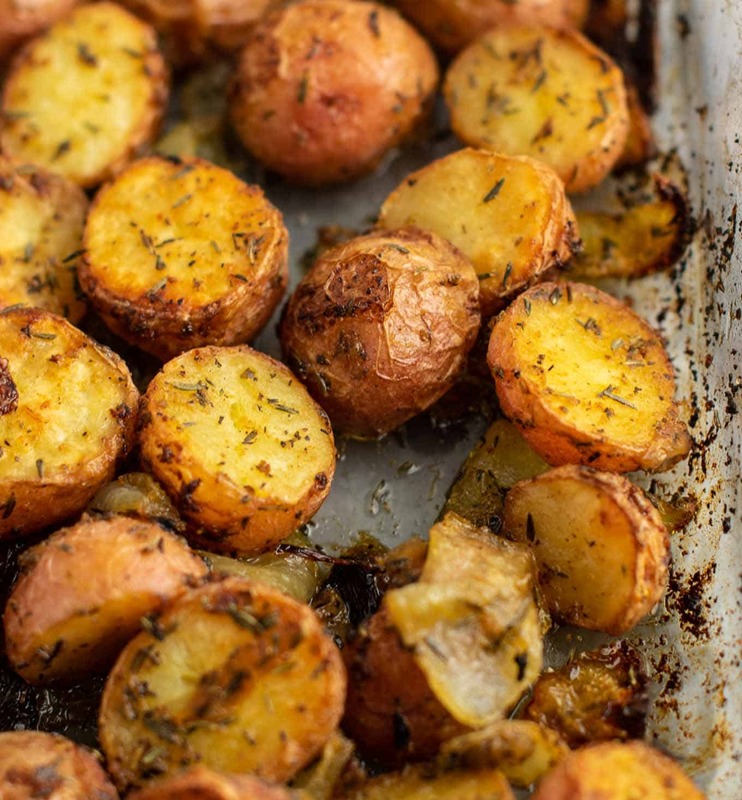 I’m always game for potatoes, and this easy side dish is one of my new favorites! 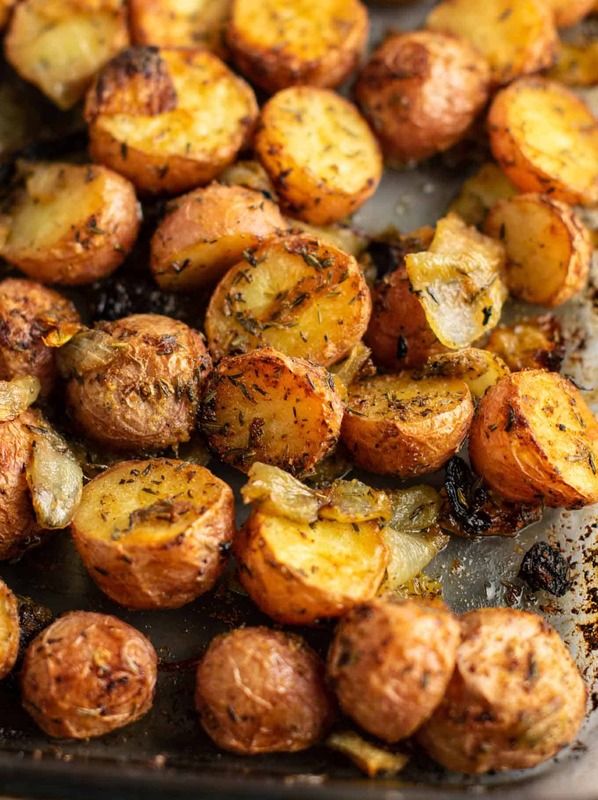 We’ve got all my favorite in this one – crispy baby potatoes, caramelized onion, and garlic and thyme to really make all the flavors pop. Serve these up as a dinner side, and save the leftovers to have as hash with your breakfast! This recipe is classic, delicious, and so easy to make. Add your potatoes, onion, and spices to a glass casserole baking dish (this is my favorite dish to use when roasting potatoes). 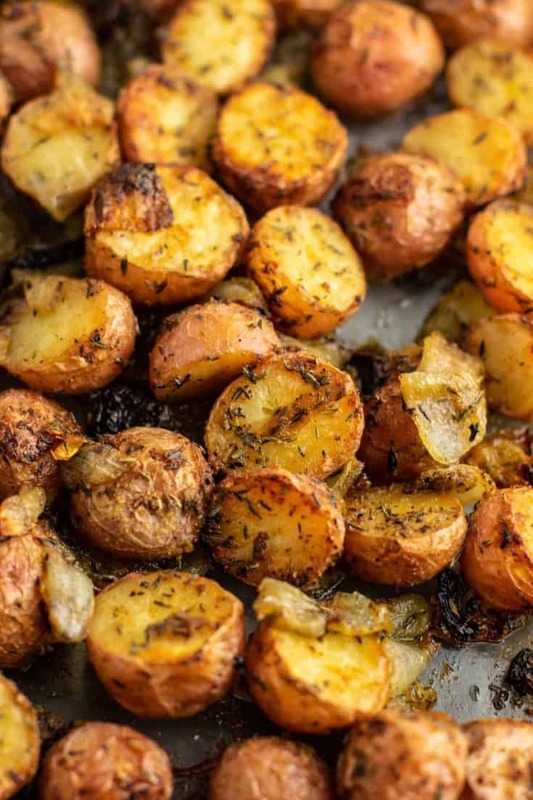 The potatoes may look too oily at first, but that extra oil helps them roast at a high heat and get crispy without losing liquid and burning. 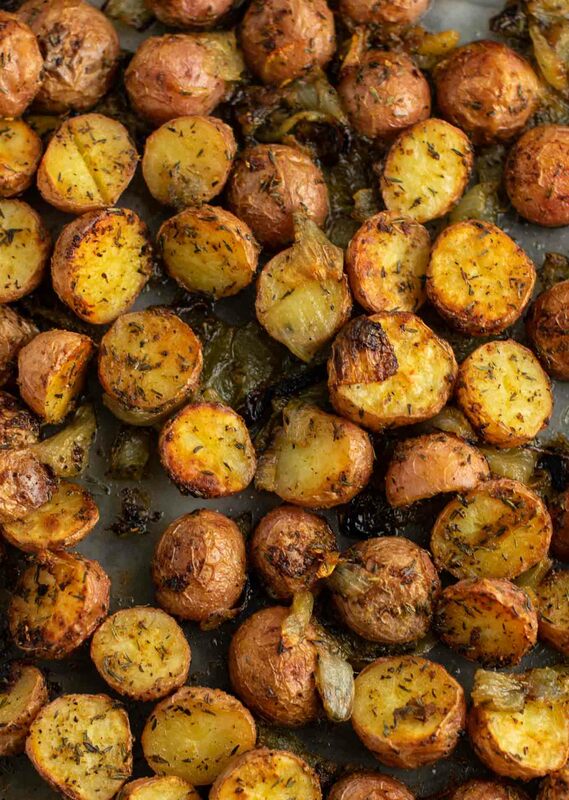 Toss with your hands until all the olive oil and spices coat the potatoes and onions. Bake at 425 degrees for around an hour, checking to flip and stir every 15 minutes or so. Easy peasy, and always a winner! Even my husband who claims he doesn’t like potatoes will devour this recipe! Be sure to pin this recipe for later and follow Build Your Bite on Pinterest for all the latest delicious recipes!